Stroke. 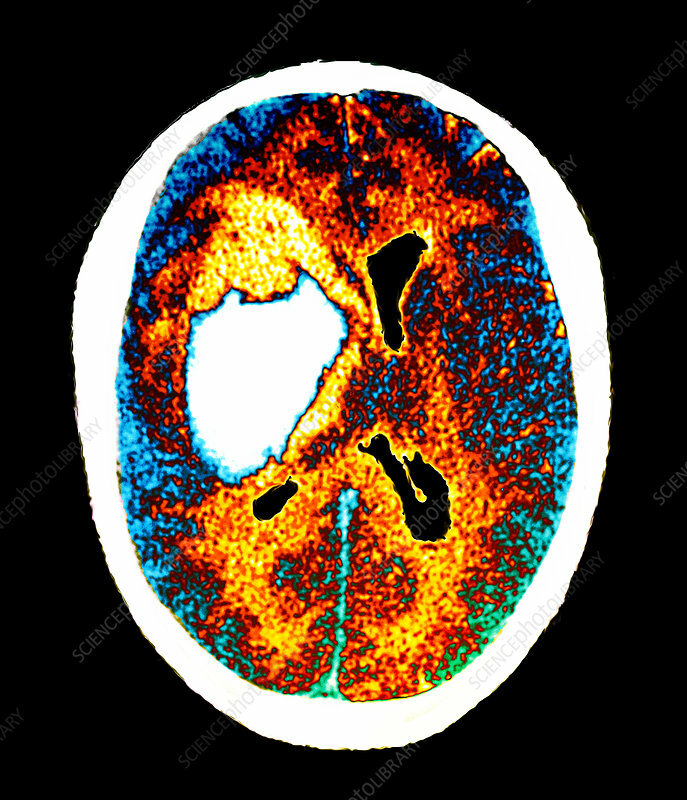 Coloured axial (horizontal) computed tomography (CT) scan through the head of a stroke victim, showing a mass of blood (haematoma, white) in the brain. The front of the brain is at top. Brain damage from a stroke (or cerebrovascular accident, CVA) is due to pressure from internal bleeding. The haematoma is in the right hemisphere of the brain, and has caused hemiplegia (one-sided paralysis) in the left half of the body. The patient has high blood pressure (hypertension) and this may have triggered the stroke. A CT scan uses X-rays to construct slice images of the body.